OPINION: The Degradation of our Values — PULP. The comments started out pretty one-sided. And people definitely are. Over three million people have fled the country in the last half-decade. The country has experienced hyperinflation at an unprecedented rate with annual inflation rate reached 1,300,000% in the 12 months leading up to November 2018. It currently takes around 19 days for the price of items in Venezuela to double. The minimum wage has been adjusted 34 times in the last year to try to compensate for the mass fluctuations in pricing. The country has even reinvented their currency to try to cope with hyperinflation, taking 00s off the end of their dollars to cope. And the country is running out of food and medicine, even for those that could afford it. Starvation has its own name in Venezuela, they call it ‘The Maduro Diet’ — a mocking tribute to the achievements of their standing president. Many Venezuelans have taken to the streets in the past years, protesting the establishment that has seen them suffer and done nothing to ameliorate the situation. Allegations ring out against Maduro, claiming that he lines the pockets of his military men and allies with dirty oil money while his citizens starve. The situation only intensified when the results of a new federal election came in this January. Against all odds, Maduro won a second 6-year term. Countless Venezuelans screamed that the election was rigged, that the opposition parties were not allowed to run, threatened or arrested. Many in the international community concurred with the view. In the midst of the allegations of fraudulence, Juan Guaidó emerged. The head of the National Assembly, a constitutional body tasked with legislating federal law in the country, declared himself president of the country, citing the 233 and 333 articles of the Venezuelan constitution. The articles stipulate that in the case of a corrupt election the president of the national assembly reserves the right to declare himself interim president of Venezuela until fair elections can be held. The US and other western powers were quick to back Guaidó’s claim to the presidency. In a statement made around a week ago, Mike Pence voiced his support for the protesters in Venezuela, calling for the ousting of Maduro and urging citizens on in their endeavor to supplant his power. “We stand with you, and we will stay with you until democracy is restored,” Pence said. In the global sphere there are two positions that you can take on the situation in Venezuela. 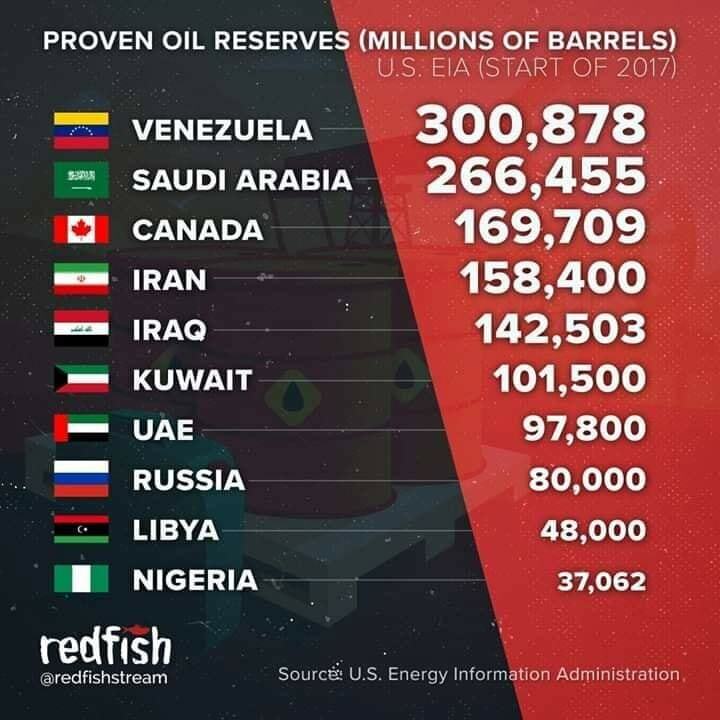 Venezuela is either a country riddled with corruption in need of immediate democratization and salvation from a nefarious government or a country plagued by the ultimate curse — wealth by oil. The kind of wealth that drives the penultimate capitalists of our era to degrade and discredit Venezuelan institutions in the name of liberty, until they can force the country into installing lawmakers that acquiesce to US interests. More and more, people in the west have started to hold the second view. They see a distinct pattern. They argue that, like so many countries before, the United States involvement is motivated by a desire to supplant the Venezuelan government with one more submissive to US business interests. They see the intent outside of humanitarian concern. Chris Garcia — former Deputy Director at the US Department of Commerce under the Trump administration — said in an interview with Al Jazeera that the US needed to “make sure we have a regime that is trustworthy and that can be subject to oversight.” Claiming that “The Venezuelan people would be in much better status if we had that oversight into their state of enterprise.” The comments, while at surface appear to have altruistic intent, have the very essence of imperialism engrained in their meaning. Guaidó would not have made such an audacious claim to the presidency without precommitments from powers like the US, promises that the country would back him. Hostility around Venezuela is only being exacerbated by the actions of the US. A couple of days ago tensions increased even more when it was announced that the United States was going to be giving Guaidó control of all Venezuelan assets in the US. The threat that Venezuela could descend into the next proxy war looms large. John Bolton, the National Security Advisor in the Trump administration, has not ruled out direct military action if the crises in Venezuela ‘necessitates’ it. In a statement to the press, Bolton said that “The United States will hold Venezuelan security forces responsible for the safety of all United States Diplomats, the National Assembly, and Guaidó. Any violence against these groups would signify a grave assault on the rule of law and will be met with a significant response.” The US, it seems, sits on its haunches — poised to launch an offensive — waiting for the excuse necessary to justify the next iteration in a long history of oil-centric foreign policy. Yet people are hurting and that fact is inescapable. There is a humanitarian crisis in the country that cannot be ignored. Millions flee as starvation, lack of medicine, and hyperinflation destroy the quality of life in the country. The institutions of Venezuela are in need of reform, they have clearly failed their people. And yet, human suffering should not be a pretext that justifies neo-colonial behavior. Time and again the US only cares for the humanitarian needs of a country when it services its own agenda. US foreign policy is a vat of hypocrisy that discredits any altruistic claim the country tries to hold to notions of justice, freedom, and democracy. As time goes on these values seem more and more like thinly veiled sentiments covering a brutal push to meet the demands of the oil industry. One cannot reconcile the United States’ failure to condemn Saudi Arabia, a country famous for human rights violations — from the murder of Jamaal Khashoggi to the bombing of Yemen — with its claim to champion the values of liberty and justice. While the US “stands with the people of Venezuela” in the name of democracy it simultaneously sells hundreds of billions of dollars worth of weapons to a dictatorship rampant with corruption. Democratic sentiment doesn’t abstain from some countries and apply to others based on US economic interests. Values of democracy and freedom transcend national barriers, they are universal. It is the power of these ideologies that have enabled the US to ascend to the position it holds today in the age of globalization. By championing the ubiquitous rights, the US has historically justified its hold on power. But times are changing. Venezuela highlights a deepening problem for our basic values. After decades of hypocrisy the US has debased its reputation and subsequently also defamed the sentiments it represents. The US threatens that which it claims to hold so dear; the power of democracy. As the US continues to violate sovereignty in the name of freedom, fight for democracy where it deems it necessary, and ignore dictators where it serves better, people the world over lean further and further away from that which the country represents. People in Venezuela are suffering and deserve better. Democratization does not have to equal Americanization, but it can start to look like it when western history erroneously draws out the false equivalency. It is the greatest threat that the US poses in the contemporary world; the degradation of the very values that it attempts to champion. It forces people to side with dictators, unjust and cruel as they may be, out of repulsion for the American imperialist agenda. It leads to a world where people post “Long live Maduro,” because it is the better of two evils. A world where the west has lost faith in democracy and freedom.